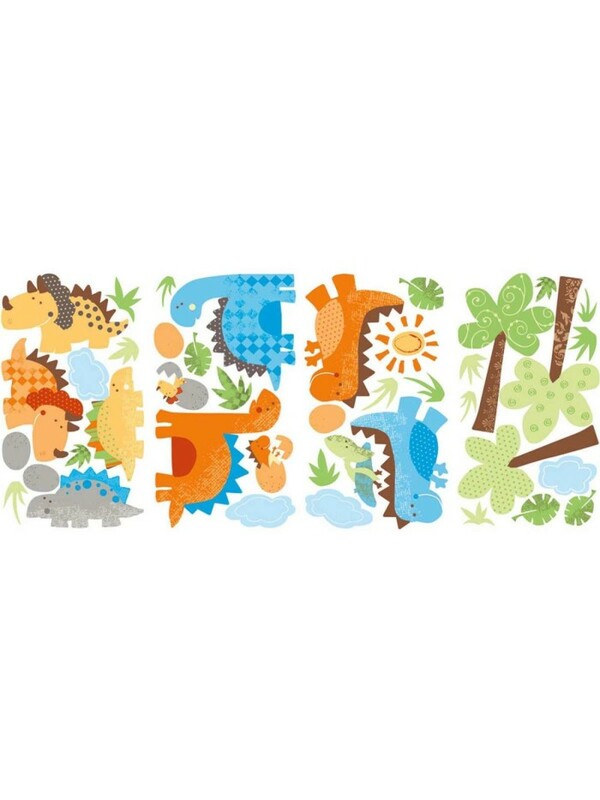 Every kids will get into a dinosaur phase where they’re captivated with every ferocious Tyrannosaurus Rex and how lumbering Brontosaurus and how fast and smart Velociraptor they see on magazine, or TV. 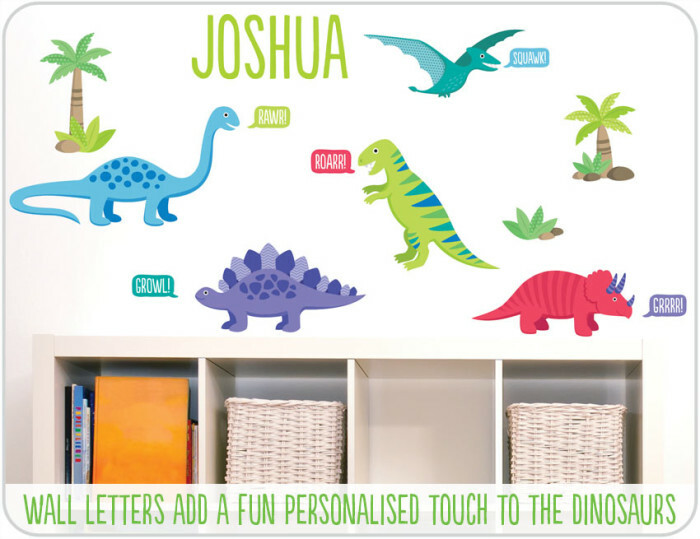 We can take this learning opportunity by creating some large, colorful and educational wall stickers for your child’s room. 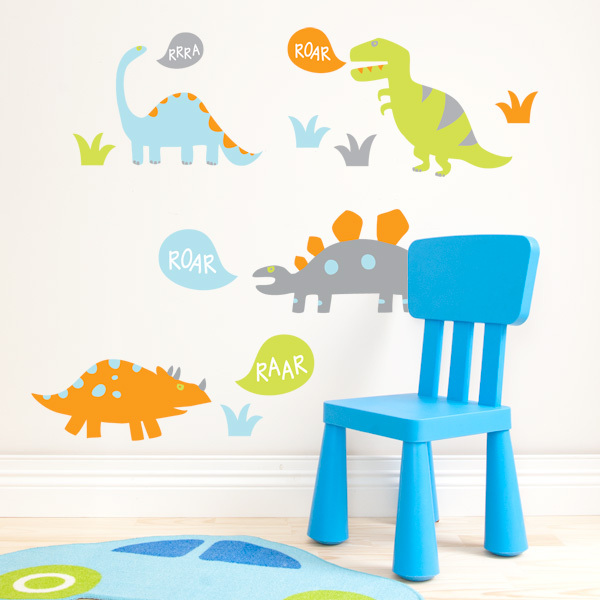 These Dinosaurs are fun, easy to create and give great educational effect, you can create the wall stickers with your beloved kids to help with the project. 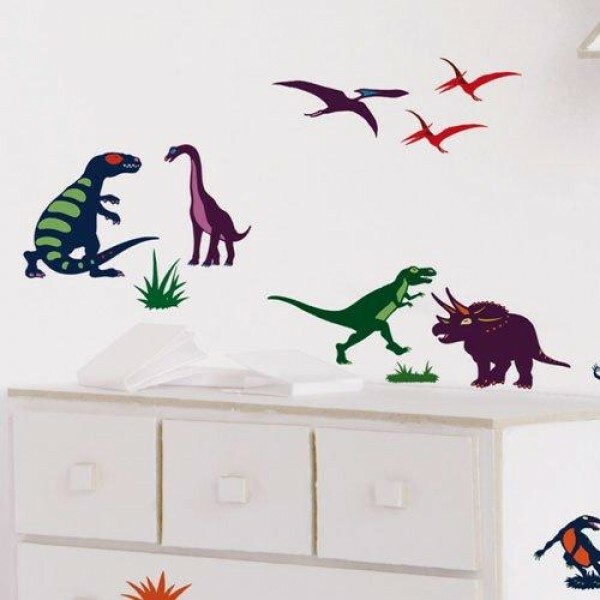 First thing that you can do is finding dinosaurs patterns. 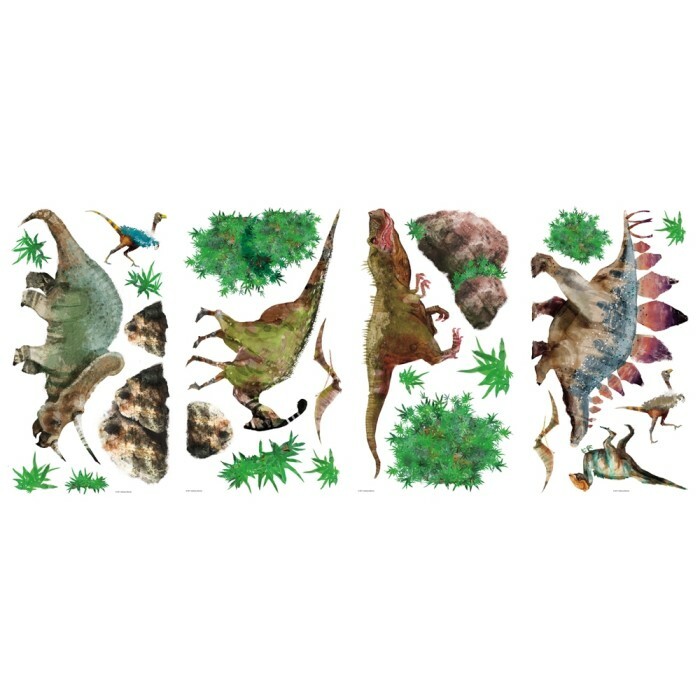 You can download and find any dinosaur pattern inside this blog or you can simply find any illustrations from magazine or your kid’s book. If you can draw it, you can draw it by yourself and your kids. This will bring great experience and fun for your kids. After you find the perfect images, now enlarge the patterns by bring it to a copy shop and have them to enlarged. Draw a pencil line around the pattern onto the foam core board. 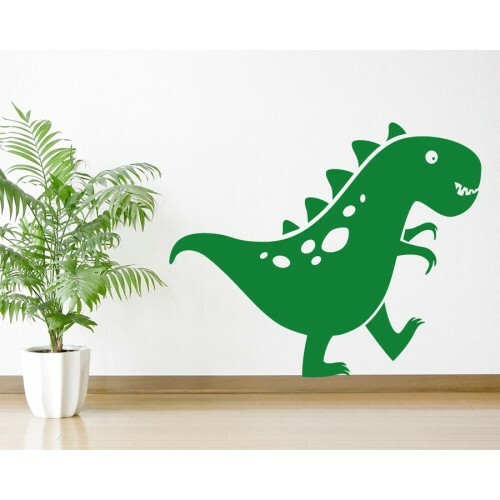 Now, cut out the dinosaur using utility knife. Make sure that your knife is sharp enough. Cut down some of the curves when you’re finished. Next, use the core board dinosaur as the pattern. Turn it to the opposite side. Now, trace around the dinosaur with the chalk. Cut out the felt dinosaur. Make sure that it will fit properly onto the foam core dinosaurs. Turn it over. Now, using small amount of glue, paste the foam core dinosaur on the wall. Smoothing down the edges. You might have to add additional glue to the center of foam core. Now, it’s drawing time. Using the felt scraps to create details for the dinosaur. You can use pictures from books or magazine as your model. Draw eyes, nostrils, scales, and any details. 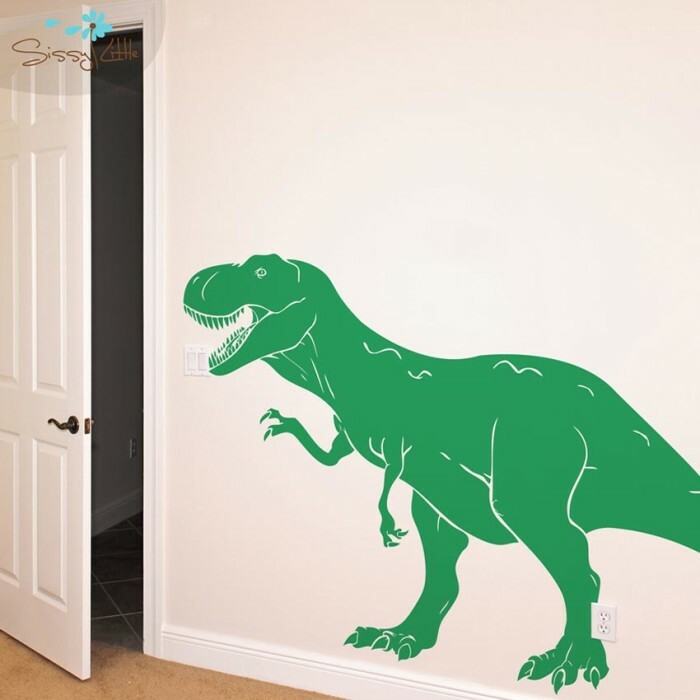 You will get a great time by drawing the dinosaur with your kids. Last, attach an adhesive paper to the pack of the dinosaur. 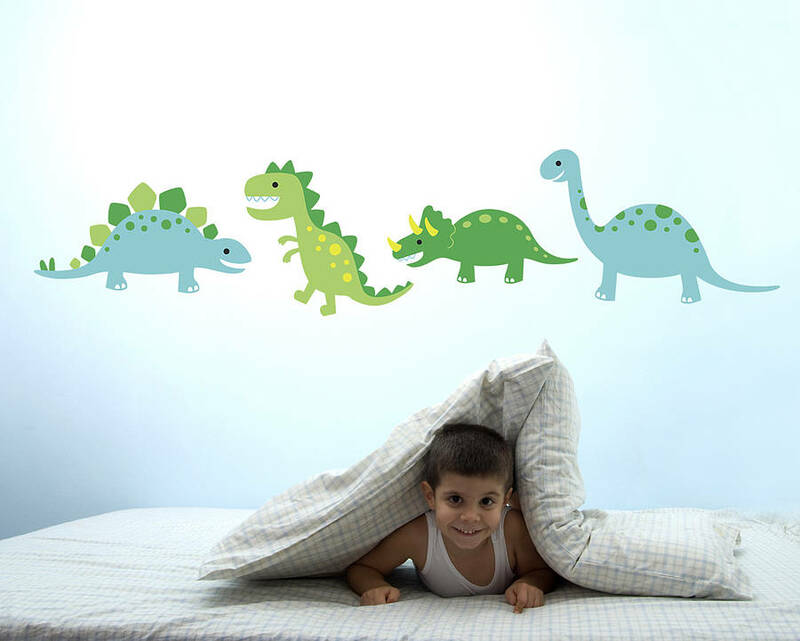 Now your own dinosaur wall stickers is done.